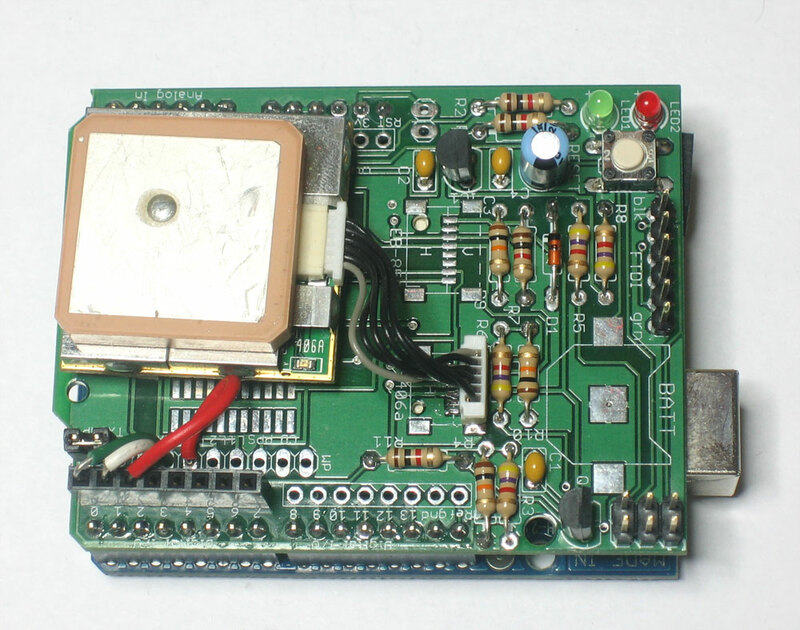 The first thing we will do is test the GPS by connecting it directly to the computer. This is useful because sometimes you may want to get geolocative data directly into software. You dont need to do this step, but it can be helpful to determine if your GPS module is working - one less thing to worry about later. The easiest way to connect the GPS module to a computer is to remove it from the Arduino and connect the GPSPWR line to ground. 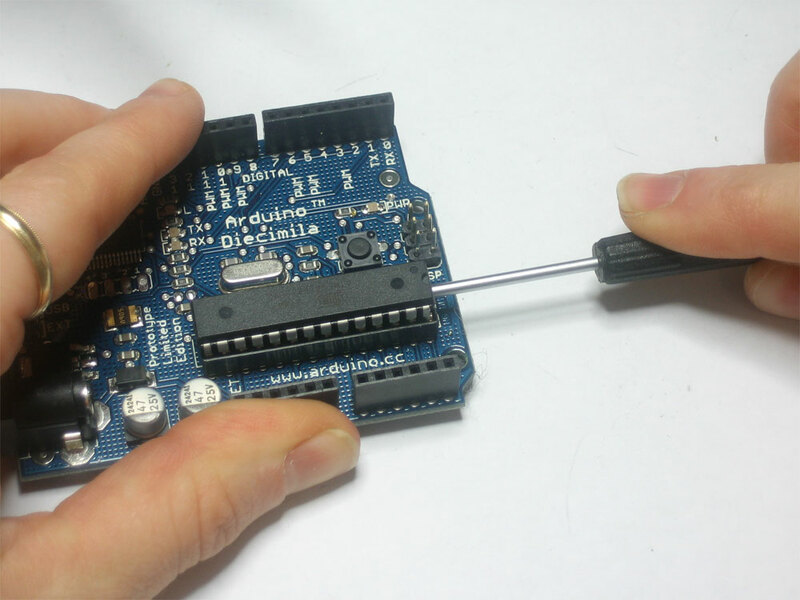 Remove the shield from the Arduino. Connect the GPS TX line to digital pin 1 and the RX line to digital pin 0. 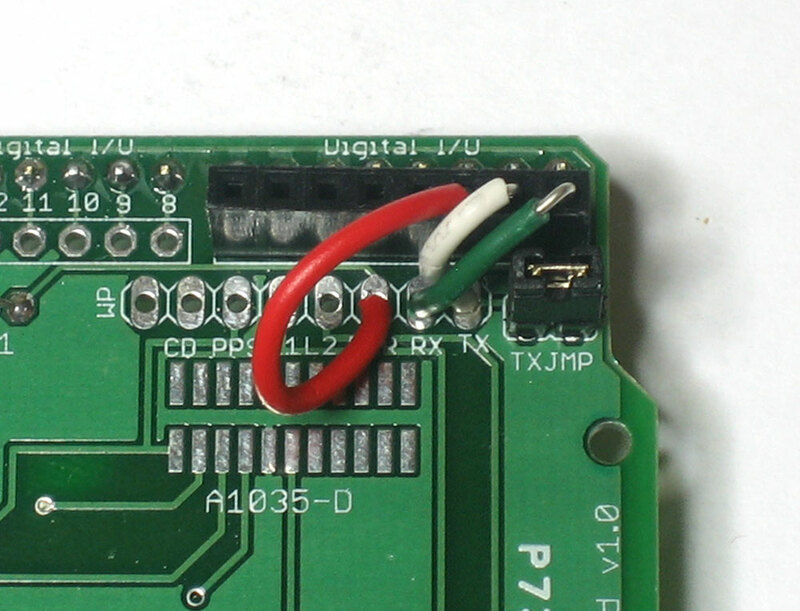 Connect the PWR line to digital pin 2. We want the GPS unit to talk to the FT232 chip on the arduino which will let us listen in using USB, but the problem is that the Arduino chip (ATmega168) is in the way so we must remove it. 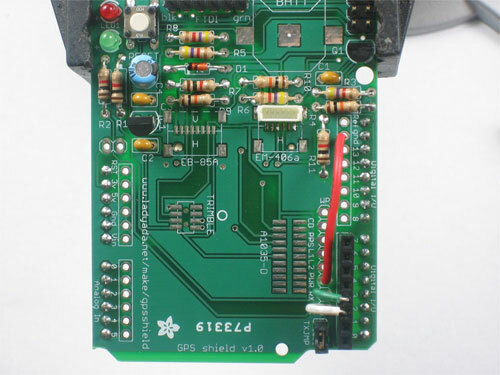 Next we will jumper digital i/o pin 2 to ground (LOW) which will make sure the GPS unit is turned on when we connect up. Use a spare piece of wire and plug them into the empty socket as shown. Triple check to make sure you have the jumper in the proper socket holes! 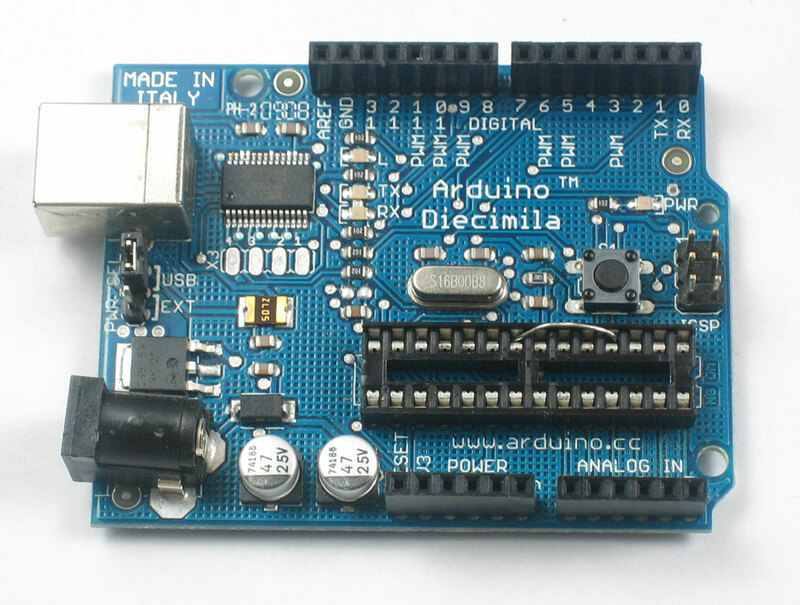 Now connect the Arduino to your computer via USB. 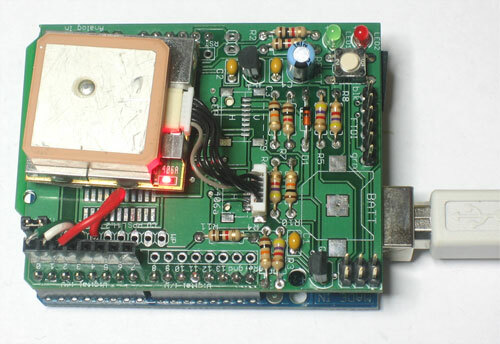 The GPS module should light up, indicating that its on. 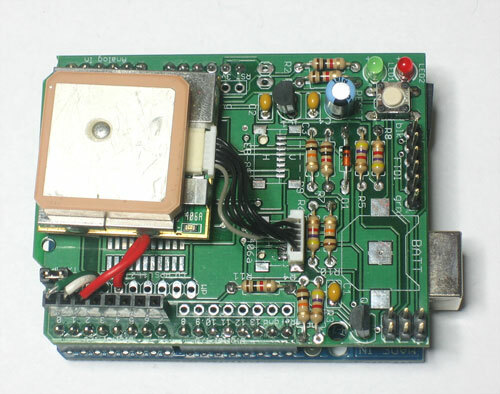 If the GPS module doesnt turn on, check the PWR jumper is connected to digital pin 2, that the socket jumper is correct, and that the Arduino is powered. If possible, try to be near a window or outside. If possible, place the GPS module so that the antenna (the large silver square) is outside and pointing upwards. This will make it easier for it to get a location fix. You should see a whole bunch of strange looking numbers and data, all the lines start with $GP (Geographical Position). These lines are NMEA sentences which indicates that the GPS is functioning properly and is sending data as it should. This line is called the RMC (Recommended Minimum) sentence and has pretty much all of the most useful data. Each chunk of data is seperated by a comma. 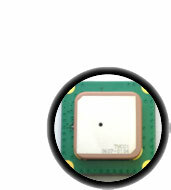 The next 4 pieces of data are the geolocation data. According to the GPS, my location is 4042.3932N (Latitude 40 degrees, 42.3932 minutes North) & 07400.4680W. (Longitude 74 degrees, 0.4680 minutes West) To look at this location in Google maps, type +40° 42.3932', -74° 00.4680' into the google maps search box. Unfortunately gmaps requires you to use +/- instead of NSWE notaion. N and E are postive, S and W are negative. The next data is not used, the one after that is 260608 which is the current date (26th of June, 2008). 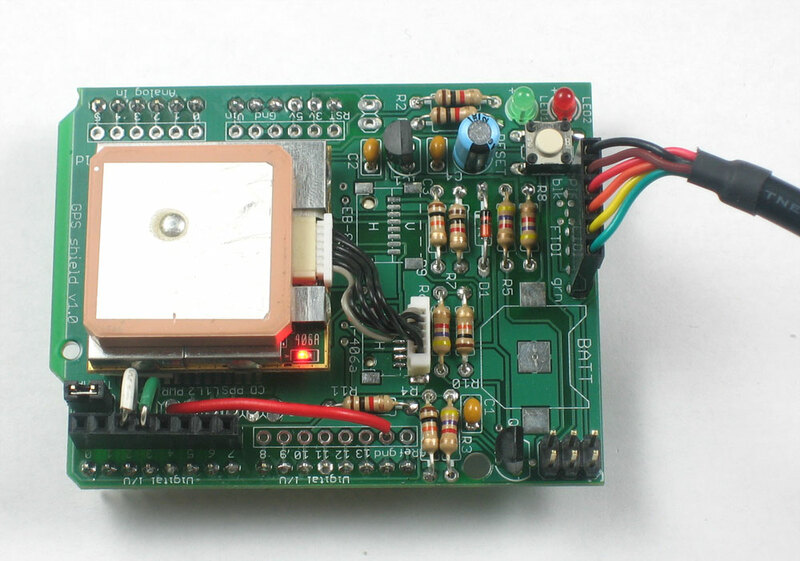 Now may be a good time to read up all about NMEA and how GPS works.